I had a wonderful first hike of the season last night, I can't wait for full on spring to be here. 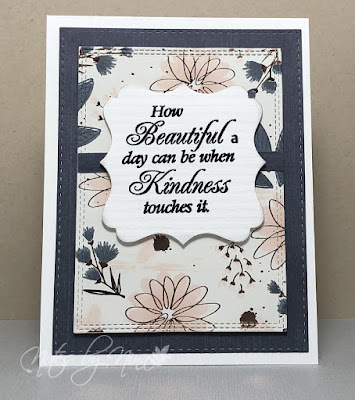 I used simple layers for this card, I a blend of single stitched and double stitched die cuts to add some interest. The sentiment is heat embossed and the panel popped up with foam tape. The paper had lots of glimmer with foiled areas so I did not add any additional embellishments. 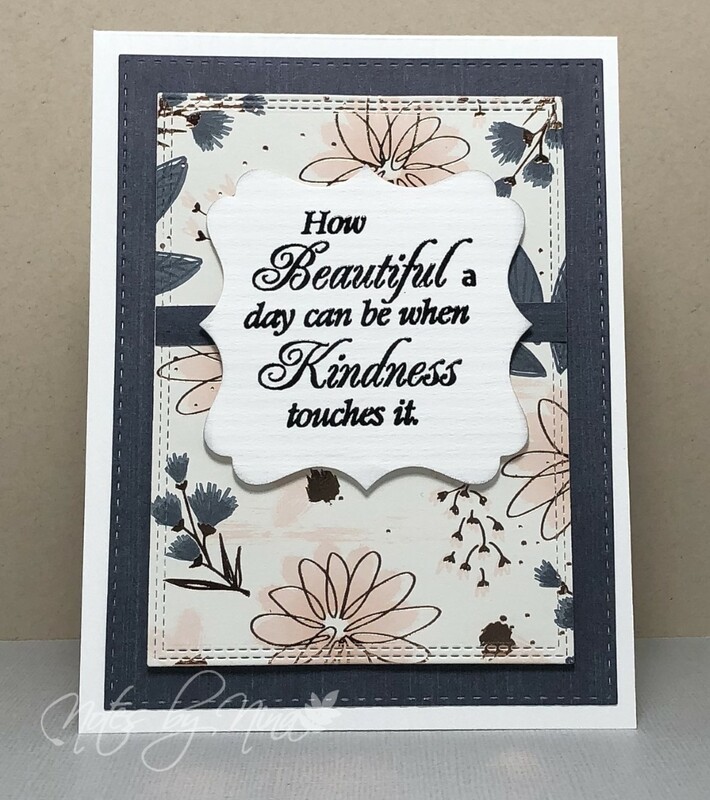 White Cardstock, Designer Paper-My Mind's Eye, Inspired by Stamping-Heartfelt Gratitude, My Favorite Things, Spellbinders and Simon Says Stamps die cuts.